By Jack Popeley | March 6, 2015. It was announced on the 16th February that Brendan O’Carroll – famous for his show Mrs Brown’s boys – will be the St. Patrick’s day 2015 Grand marshal. As the crowds gathered for the announcement, there was much speculation as to who would be this year’s special guest. The festival is a big boost for tourism also. Over 500,000 people attended last year’s parade, with the possibility of even more people this year. 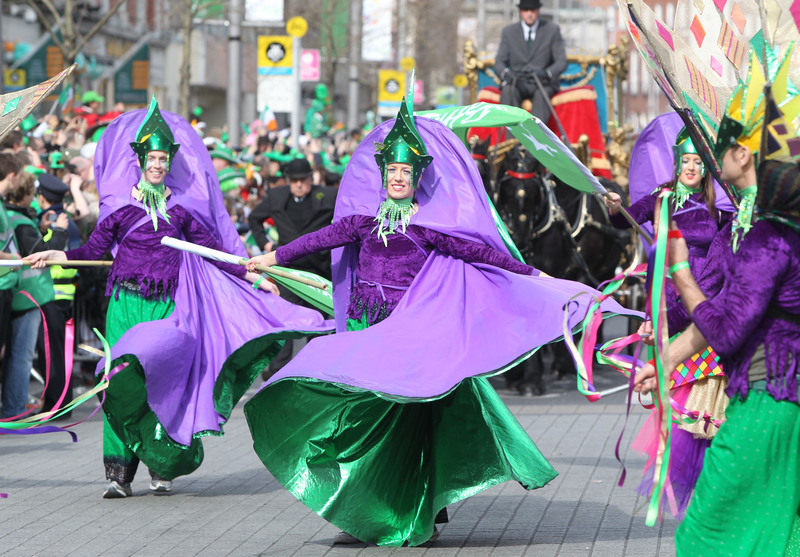 “We in Ireland are incredibly lucky to have an event such as St. Patrick’s Day, which consistently succeeds as an attractive magnet for publicity and visitors,” said Ciara Sugrue, Head of Trade and International Media marketing at Fáilte Ireland. “This year’s four day festival will provide us with the perfect opportunity to invite key overseas media to come to Dublin and to film, write and blog about one of the most popular festivals in the world. In essence, the festival provides a timely window on Ireland just as our tourism season gets into gear” she added. However, she goes on to say that some will feel the effects, “ The storehouse has and always will have visitors on St. Patricks day. Street traders also welcome the influx of people into the city. The first St. Patrick’s Day festival was held in 1996 and attracted almost 430,000 people. The parade has grown since then and has become a worldwide event with more countries hosting a festival than any other national holiday. As part of the festivities, the Colosseum, Niagara Falls and many other world famous landmarks will turn green for the day. Because of this, the celebration has become a valued part of the Irish economy. In 2013, the festival brought in €122 million. This year’s parade is set to bring in an estimate of over €100 million.